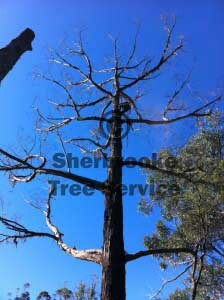 Had a recently lightning struck tree removal to do in The Patch. The bark was starting to fall off, but the tree was still reasonably sound. 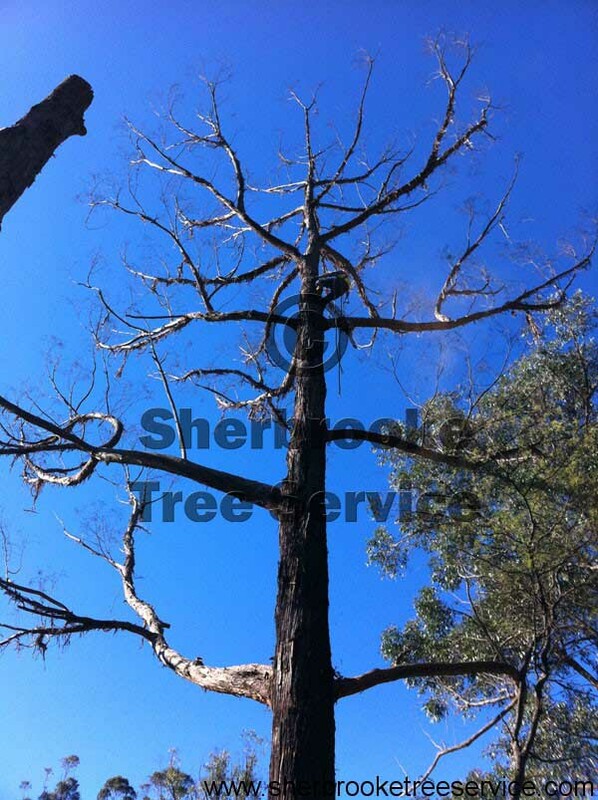 Trees that are struck by lightning rarely seem to survive, and sadly they are often trees of good stature. The lightning will often hit the tall dominant trees. This was no exception. 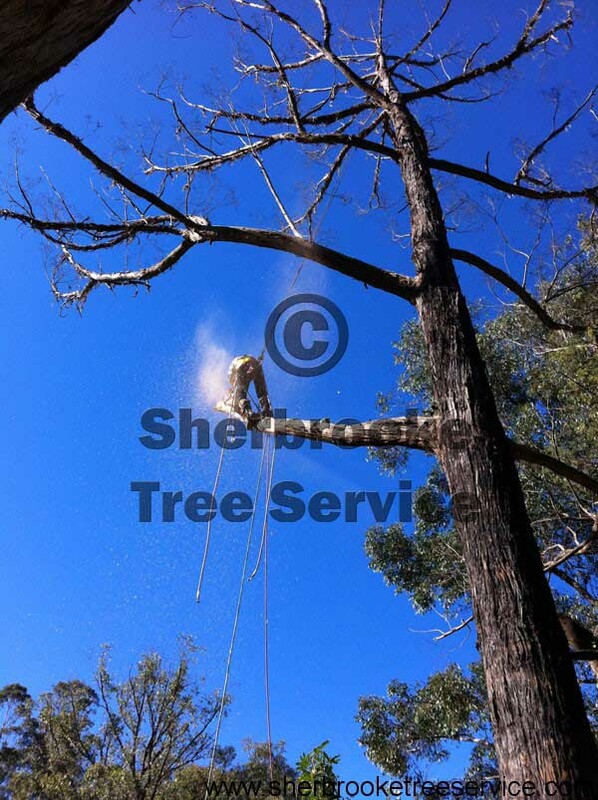 Anyone that knows The Patch area knows how steep the ground is, we have special techniques for sectioning the tree down so that blocks don’t go flying off down hill into houses and property. Sometimes this includes the use of ropes, other times barriers and catch-rigging. 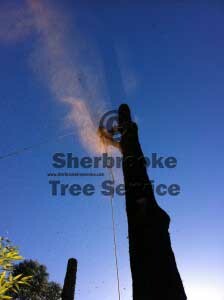 Graeme out on a limb, cutting the tree down peice by peice. 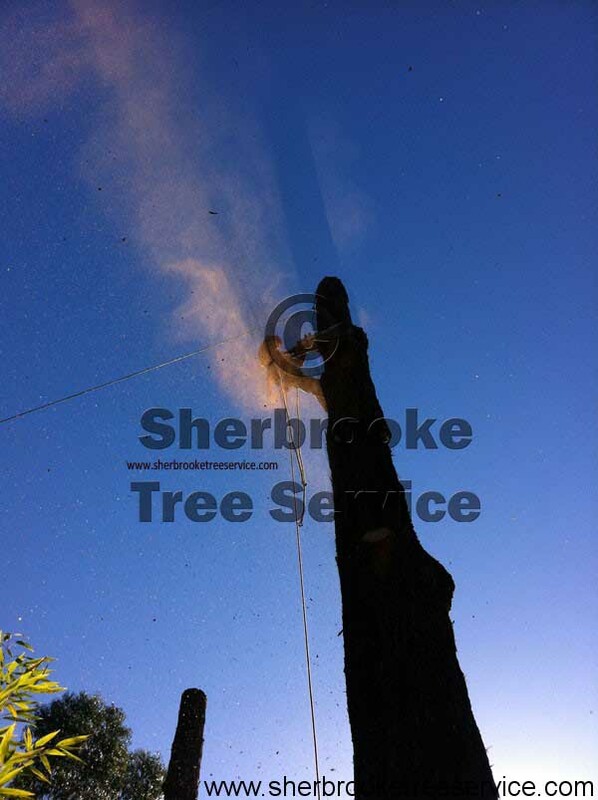 Graeme gets to the top of the tree to set some rigigng and safety lines for removing the tree.